Dr. Thomas Griebe | Littler Mendelson P.C. Dr. Thomas Griebe advises national and international clients on all areas of employment law. He focuses on advising U.S. clients and staffing services, and has a large client base of small- and medium-sized companies. Trained in mediation, he advises companies on conflicts with their employees, works councils and unions, as either a mediator or a consultant. Thomas formed his own employment law boutique in Hamburg in September 2012. Previously, he was an Equity Partner and International Head of Employment & Pensions at an international business law firm where he became Partner in 1998. 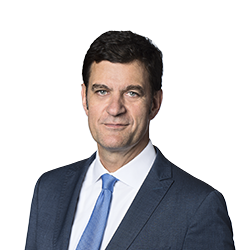 He was admitted to the bar in 1995 and is a specialized lawyer (Fachanwalt) for employment law in Germany as well as a business mediator. Thomas lectures on employment law at the Fresenius University of Applied Sciences in Hamburg.